This system could be very secure from hacking. It doesn't require a newly invented solution. The general problem of one-way authentication has been solved already. 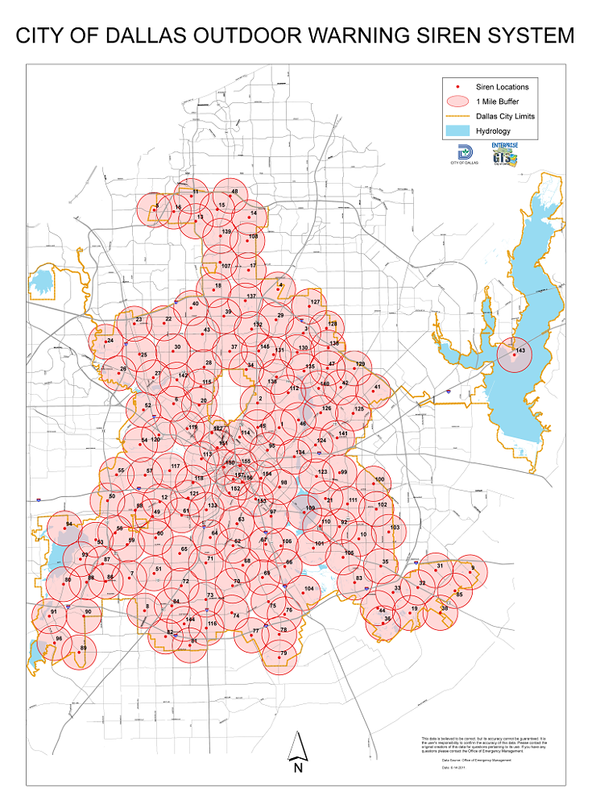 However, it is unclear if the Federal Signal Corporation (the supplier for Dallas) has provided such security in its controllers for the siren systems. It is also unclear if either Dallas, or the contractor hired to maintain and repair the system have configured the controllers to have their highest security. It seems all this is likely to remain unclear because city authorities buy into "security through obscurity". Another issue is that officials want multiple, maybe non-technical folk, to be able to activate the sirens. Security may be compromised in the interest of simplicity. Here is what we know. The hacker used a radio signal from within signal reach of a base controller. The hacker knew the codes to trigger every siren in the system which is achieved through radio relays. Each siren can be triggered individually or as part of a group. In this case the code for "all sirens" was used. The hacker continually sent signals to activate the sirens, thus overiding the officials who sent signals to turn the sirens off. The officials eventually changed something in authentication so the hacker could no longer activate the sirens. I am guessing how authentication works here. It may be possible that it was turned off entirely in Dallas. The simplest, and maybe only method, is to use a programmed fixed sequence of digits that represents an authentication code. I do know that Federal Signal controllers have that capability at least. However, the hacker in this case can use a replay attack. Herein, the hacker listens and records the signals used during a periodic system test. He, or she, simply plays back the same signal. The solution is to change the authentication code for every activation. Such a rolling-code system is used in many areas such as for unlocking cars and opening garage doors. Unfortunately, the companies that design such systems try to maintain secrecy and the cryptography doesn't get well vetted. I think all these systems had to be corrected once the system was already in the field. There are algorithms for rolling-code systems that don't suffer from known vulnerabilities. The user may have to configure that level of security to make sure they are protected.